As more than 1000 children continue to flee South Sudan on average every day in search of safety the region’s refugee crisis has become a children’s crisis the UN Children’s Fund (Unicef) said Tuesday as the world marked the refugee day. 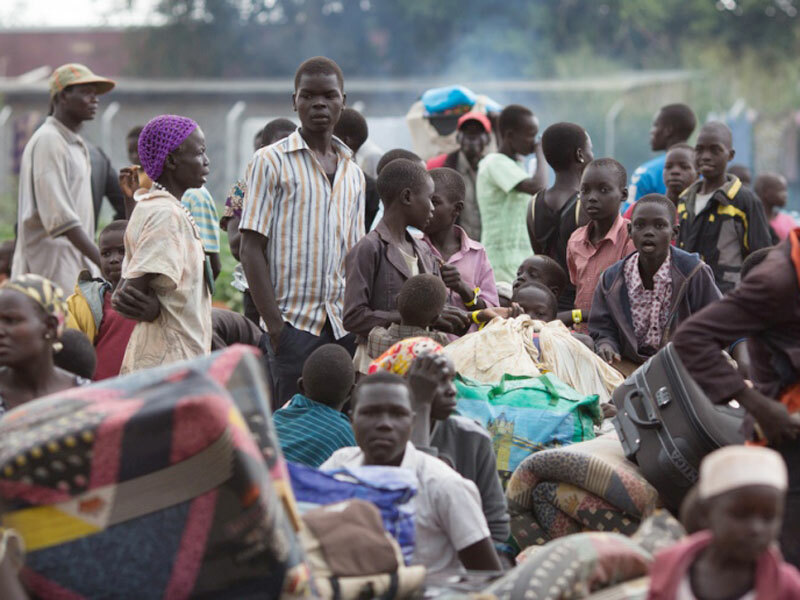 Since violence erupted in South Sudan in December 2013, more than 1.8 million people have crossed into neighbouring countries, the majority of them to Uganda. In just one year, the population of refugees in Uganda has more than doubled from 500,000 to more than 1.25 million, making Uganda host to the fastest growing refugee emergency in the world. “More than one million children have been forced from their homes in South Sudan, often amid horrific violence,” said Unicef Regional Director for Eastern and Southern Africa, Leila Pakkala. “Day after day, week after week, they are being received by countries such as Uganda, Ethiopia and Kenya. Despite great efforts on many fronts, the systems in these countries are tremendously stretched,” she added. 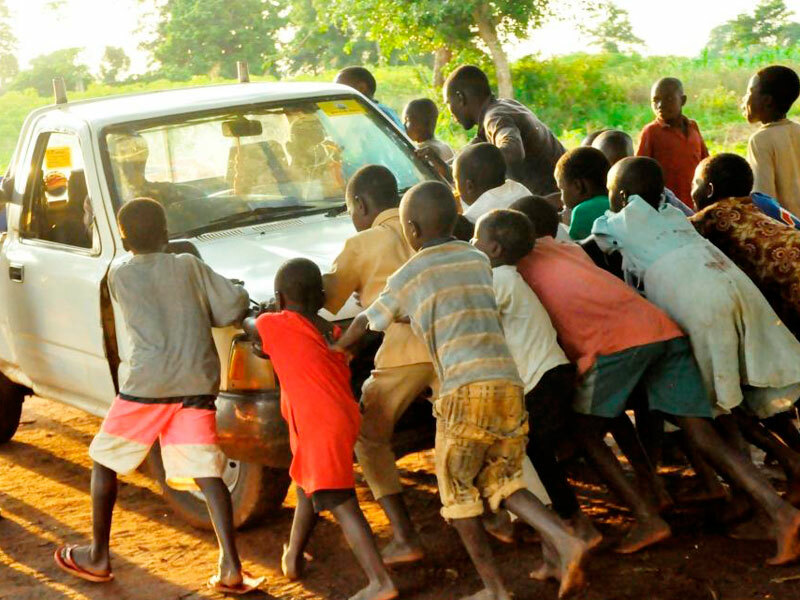 South Sudan refugees help push a car in Soroti last year. Ahead of Uganda’s International Solidarity Summit on Refugees (June 22-23), UNICEF notes that 86 percent of all refugees in Uganda are women and children, making Uganda Africa’s leading refugee-hosting country, having jumped from the eighth largest refugee-hosting country in the world in mid-2016 to the third largest today—after Turkey and Pakistan. “The Government of Uganda, UN High Commission for Refugees, Unicef, WFP and other humanitarian partners on the ground are working tirelessly to respond to the more than 740,000 refugees who have arrived in Uganda since July 2016,” Jaya Murphy, chief of communications at Unicef Uganda told PML Daily on Tuesday morning. Murphy added that such dramatic numbers are placing excessive pressure on State and host community resources, especially social services that are critical to children’s well-being. The Government and the United Nations are appealing for $8 billion in funding for both emergency response and resilience interventions to Uganda’s refugee and refugee-hosting population over the next four years. Within this appeal, Unicef in Uganda requires nearly $ 50 million in 2017 as well as $ 30 million in each year from 2018-2020 to provide critical health, nutrition, water and sanitation, education, early childhood development, adolescent development, and child protection interventions, to both refugee and host community children. On World Refugee Day, Unicef is also reiterating its call to governments to adopt its six-point ‘agenda for action’ to protect refugee and migrant children and ensure their well-being, which was launched ahead of the G7 Summit in Italy in late May. While refugee children in Uganda enjoy the full existing legal, physical and social protection system as the host population and use the same social services as them, UNICEF said more must be done to fully operationalise the ‘agenda for action’ across the region, especially keeping families together, helping all uprooted children stay in school and stay healthy, and acting on the causes that force children to flee in the first place.